Safely cover a doorway with zippers already installed in under a minute. Multiple doors can save hours of time. Attaches to door frames with double-sided ZipWall® Tape – firmly holds plastic on one side, gentle on surfaces on the other. Allows repositioning for up to an hour. Seals doorways up to 4ft x 8ft. Made from 4 mil flame retardant plastic sheeting. Includes two pre-installed zippers. 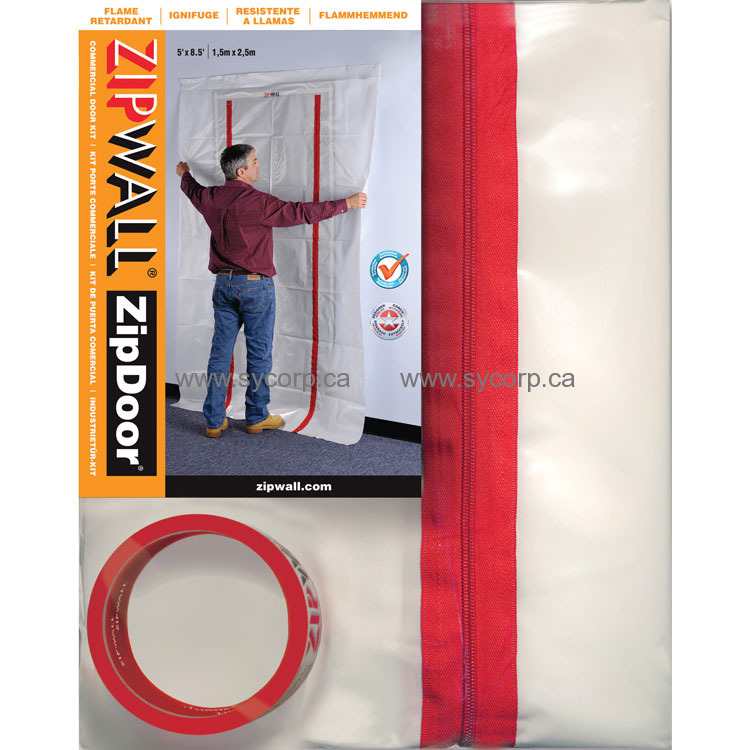 Commercial ZipDoor® Kit contains one reusable ZipDoor®, two flap hooks, and one roll of 1ft x 60ft ZipWall® Tape. Flap hooks hold-up door allowing easy entry and exit even when hands are full. Dimensions: 13.75" x 10.5" x 1.5"